With due respect to my esteemed colleagues and friends at APartnership, I must disagree slightly with their hypothesis—and that of the organization formerly known as AHAA (Association of Hispanic Advertising Agencies). And I will completely steer clear of the “tossed salad” reference (big up to Chris Rock). The way they define Total Market is exactly the reason why the approach is having challenges gaining traction. Proactively integrating the considerations of all segments is what Marketers already believe they are doing. If you walk into a grocery store and tell the manager that they are not proactively integrating the considerations of me as a Hispanic individual, she will disagree and point you to the “International” aisle. There, you will find your Goya beans, Ortega Taco Kits (although Ortega is owned by a 200+ year old American company), Sofrito and of course Kikkoman Soy Sauce. But, as a third-generation Cuban American, do you think I believe I should have to go to the “International” aisle to buy food? To quote the great Darnel Moore, it’s all in the nuanced difference between a Knowledge Base and Knowledge. A Knowledge Base tells marketers that they’ve been doing Total Market all along because every segment purchases their brand, based on historical data. Knowledge (aka on-going data-mining) would tell marketers where they could be doing better to engage the passions of the various multicultural segments– to strengthen the overall brand. What we forget is (as much as I hate this term) is that “cross-cultural” goes both ways. 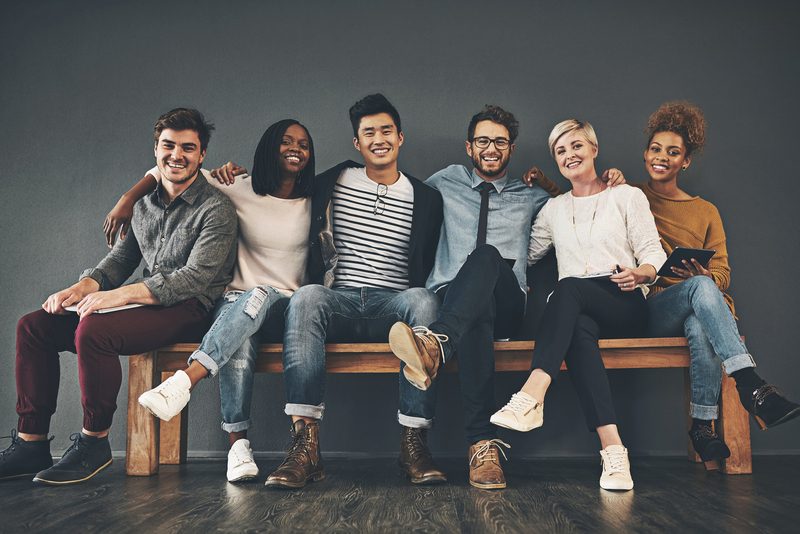 There are many, many Non-Hispanic White Millennials who trust a brand more if they appear to be authentically inclusive of other segments of the population. (I am looking at you Target). So, it’s not about proactively integrating the considerations of all segments. A “consideration” is a thought process that can go either way. A true Total Market plan goes beyond consideration. Total Market when done right needs to be about fundamentally including the hierarchy of needs of every audience into the foundation of your Marketing plan. Nope, it’s not easy. That’s why it is a ground-breaking approach that shouldn’t be taken lightly and not every brand will be in a position to implement it. That said, multicultaural agencies are uniquely qualified to have a seat at that inaugural table. As APartnership and I have done on previous accounts that we collaborated on, agencies need the opportunity to sit with Clients during conversations about branding, product development, distribution channels, pricing strategies—as well as communication platform development. So, here’s what I will leave you with – my analogy of what true Total Market looks like. Let’s say you’re a builder and you want to sell a house. The Total Market expert gets involved before the house is built. The Total Market expert is in the room with you and the architect as you design the home, and says that you need to make sure that when you build that house, you put a bathroom and a closet in that extra room. The room can be a den, craft room or guest room, but it must meet the needs of anyone who uses that room. It needs to work for all people. That’s Total Market. David Prince is a strategist with over 20 years of advertising agency experience, with a wide range of product categories, including CPG, pharma, not-for-profit, government, entertainment, tech, casual dining, sports and public utilities. He has led initiatives at agencies large, small and everything in-between. These include an equal mix of general market and multicultural shops, as well as start-ups. David founded PFI: Marketing with the goal of serving the emerging tween consumer. This led to a multi-year contract to manage multicultural duties for the Centers for Disease Control and Prevention, VERB Campaign. In addition to his work at PFI:Marketing, David has held leadership positions at the 4A’s, McCann Worldwide and has been an Adjunct Professor of Advertising Strategy at the City College of New York. In his spare time, David trains for bodybuilding competitions, enjoys cooking & baking, and is an avid historian of New York and the Motion Picture business. David lives on the upper east side of Manhattan—for now.